If you are looking for a nice restaurant in Pollensa, you have found it. 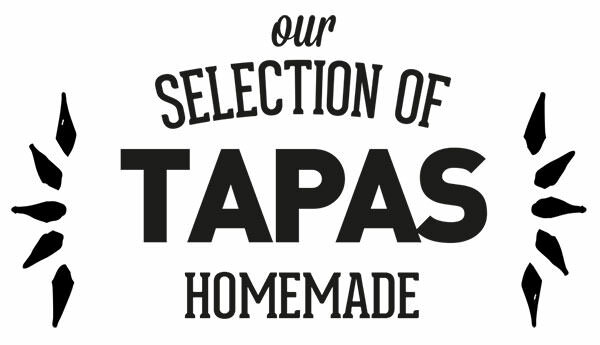 Selection of tapas. In our restaurant in Pollensa you will be able to enjoy the best tapas in the area, with large dishes and unbeatable taste. If you come and visit us you must Try our fried eggs with iberian ham, our salmon salad with trout roe and wasabi, or our cheese board with tomato compote and toast. Rice and Paella. If on the other hand you wish to enjoy a rice dish, come and Try our delicious parmesan risotto with asparagus and mushrooms, our delicious vegetable paella for veggie lovers, our mixed paella for those who can’t decide between meat or fish, or our seafood paella which has all the tastes of the sea. 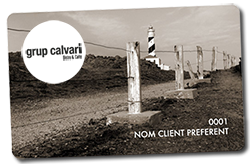 Pa amb Oli, the Mallorcan option. 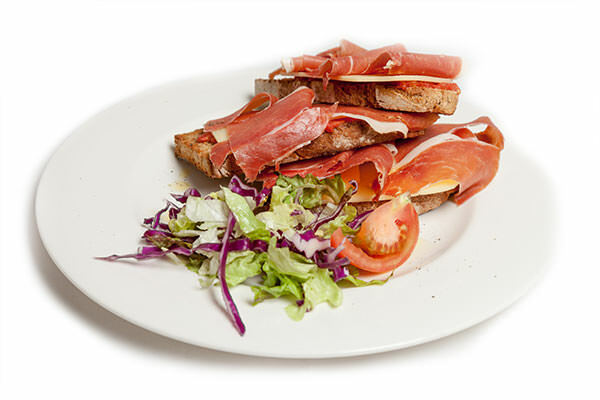 You have three tasty options to choose from: Serrano ham with tomato, Mahon cheese with tomato or mixed with tomato (serrano ham with cheese and tomato). Homemade beef burger with goats cheese and roast potatoes. Beef steak in its juice with candied potatoes and peppers. If you wish to eat something light but without having to compromise on taste we have a selection of salads especially for you. Tomato salad with anchovies in vinegar and olives or rucula salad with candied tomatoes, pickled mushrooms and goats’ cheese are just two of the varied options you will find. Who doesn’t adore a nice dish of pasta? Maybeyou’ll prefer the oriental option with Wok beef noodles and teriyaki sauce or maybe the Mediterranean egg tagliatelle with Bolognese sauce. Whichever way, these are only two of the many options we have for you. For sure you’ll enjoy them! 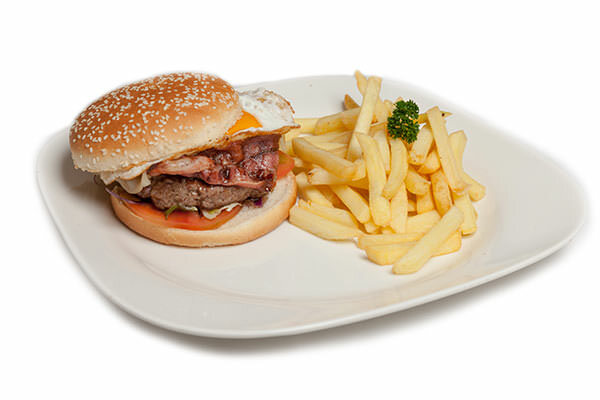 For the kids we also have a selection of nuggets, pizzas, pasta or hamburgers which they’ll enjoy eating just as much as the adults. Desserts. Finally we finish with a magnificent homemade dessert menu with dishes such as chocolate couland with vanillaice-cream or a creamy chocolate with scales of salt, toast and olive oil. Pollensa is one of the most charming places in Mallorca, and also offers a variety of services and the best of both the sea and mountains. Located in a privileged are of the Serra de tramuntana, it has been stage to films, writers and artists who have found inspiration in its streets full of life. Frequented by tourists and with a large hospitality offer, Pollensa is a town which has always tried to make the visitors stay easy and enjoyable for all those who decide to get to know the town a little. All of these delicious dishes are very close to you, come and visit our restaurant in Pollensa, and we assure you won’t regret it! Where to find our restaurant in Pollensa? L’Illa Café & Bistro is a restaurant in Pollensa which is located in the main square of the town, where there is also the church, a large architectural reference within the northern island culture which dates back from the 14th century. In the square is where all the towns’ neighbours meet and socialize.